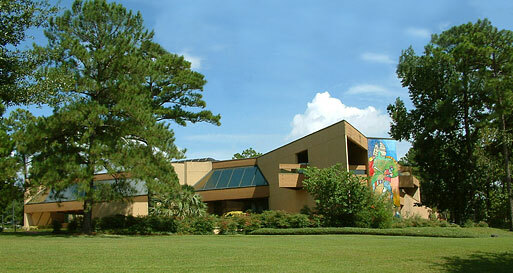 The largest outdoor mural in Alabama is located on the campus of the American Sport Art Museum & Archives. The American Sport Art Museum and Archives (ASAMA), located on the campus of the United States Sports Academy, is dedicated to the preservation of sports history, art and literature. Founded in 1984, ASAMA has recognized the importance of the cultural connectivity of athletic competition and artistic expression since its inception. The Thomas P. Rosandich Gallery preserves the performance and movement of man by creating an awareness of the role art media play in capturing our sports heroes and perpetuating their performances for posterity. Arguably one of the most aesthetically pleasing structures in higher education, the museum is located in an artistic atmosphere in the architecturally-acclaimed main campus building. The ASAMA collection is comprised of more than 1,800 pieces across all media including paintings, sculpture, prints, posters, photography and assemblage. The collection is believed to be the largest of sport art in North America and possibly the world. Also featured is the largest public art offering in the state of Alabama, the famed two-story tall mural by Maestro Cristóbal Gabarrón. “A Tribute to the Human Spirit” graces one wall of the main campus building and has become a landmark on the Eastern Shore. In addition to maintaining the art collection, ASAMA conducts the Academy’s Sport Artist of the Year Award. The award, which was first presented in 1984, is given to an individual who is perceived to capture the spirit of sport, so that future generations can relive the drama and excitement of today’s competitions. 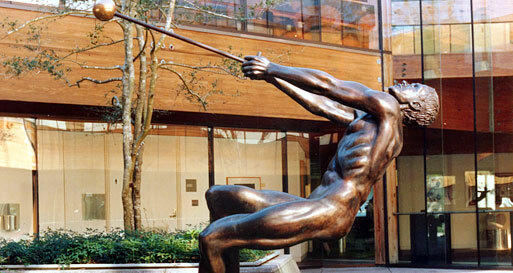 The gallery also periodically features showings by renowned sport artists. Founded in 1984, the American Sport Art Museum and Archives (ASAMA) is dedicated to the preservation of sports art, history and literature. The ASAMA collection is composed of more than 1,800 pieces across all media, including paintings, sculptures, assemblages, prints, posters and photography. The museum is open to the public, free of charge, Monday through Friday, 9:00 a.m. to 4:00 p.m. The museum is open to the public, free of charge, Monday - Friday, 9:00 a.m. to 4:00 p.m.